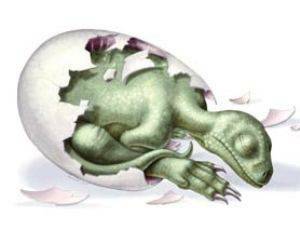 Paleontologists recently identified the world's oldest known dinosaur embryos, according to researchers. The embryos, found in their still well-preserved eggs, date to the early Jurassic Period 190 million years ago. Researchers say they are the oldest known embryos for any land-dwelling vertebrate. They belong to Massospondylus, a member of a group of dinosaurs called prosauropods that were ancestors to the giant, plant-eating sauropods. Sauropods are the iconic four-legged dinosaurs known for their long necks and long tails. Professor Robert Reisz of the University of Toronto Mississauga and his colleagues made the discovery while analyzing the fossilized eggs, originally found in South Africa. Reisz’s research assistant, Diane Scott, prepared the delicate fossils under high-powered microscopes and compiled the illustrations. The embryos are so remarkably well preserved that they permitted a complete reconstruction of the skeleton and detailed interpretations of the anatomy.